If none of the Kazakh president’s current associates will agree to accept the right of another to become the country’s second national leader, it’s inevitable that Kazakhstan will be ruled by some kind of collective leadership after Nazarbayev. However, nothing in the president’s special address suggested any mechanism for the transfer of power. There was something strange about Kazakh President Nursultan Nazarbayev’s “special address” on January 25. The speech, in which the aging leader advocated sharing his power with the parliament and government, was likely a reflection of the ongoing search for a stable succession mechanism. Firstly, his speech revealed that the president will in fact command more real power after the redistribution. Secondly, he made no mention of a referendum—a commonplace democratic procedure for approving constitutional amendments. Instead, in keeping with Soviet traditions, Nazarbayev announced a month of “popular discussion” of the proposed constitutional reform, starting the very next day. Based on “the proposed amendments and suggestions” submitted during that month, the working group on the redistribution of powers assembled by the president last year will make amendments to a constitutional reform bill and submit it to the president. There will be no constitutional assembly, as is usually summoned to make changes to the fundamental law. It’s almost as though Nazarbayev, who has ruled the country since 1989, is in a hurry. Also strange was the presentation of the president’s special address, which was only announced a few hours before the prerecorded and edited speech was shown on national television. Usually, Nazarbayev makes important announcements during meetings with parliament members or at expanded cabinet meetings. This time, he was shown sitting at a virtually empty desk against a background draped in blue, against which two Kazakh flags hung. The president looked tired. He was clearly not at his private residence. In essence, the Kazakh leader proposed to “voluntarily” hand over some of his powers to the parliament and his cabinet. Constitutional law scholars note that the president’s terminology is legally inaccurate, since the parliament doesn’t really have powers, only rights vested in it by the people who elect its members. In turn, the parliamentarians vest the executive branch—the president and his cabinet ministers—with powers. In reality, of course, all powers originate with the president, who essentially created Kazakhstan as we know it today. The longtime leader said that the new arrangement will “significantly strengthen” the parliament and his cabinet, which have, in the words of the prominent Kazakh political analyst Dosym Satpayev, “previously demonstrated their ineffectiveness both in reacting to crises and in their legislative work. The president has apparently become tired of covering up the parliament and cabinet’s errors, which set a new record last year. And so the formula of ‘the tsar is good, but the boyars are bad’ is becoming a permanent fixture,” concludes Satpayev. It’s hard to argue with his conclusion. The move also means that Nazarbayev is actually strengthening his super-presidential powers by retaining his role as supreme arbiter while shifting responsibility for the socioeconomic state of his compatriots to his cabinet. It’s not clear how this turn of events is compatible with the progress “toward democratic development” alluded to in Nazarbayev’s address. The president said nothing about reforming the electoral and parliamentary systems, or lifting electoral and media restrictions against opposition parties. He merely mentioned “concentrating on the issue of improving the work of the Constitutional Council, judicial system, and public prosecutors.” These remarks offer little hope that the judicial system will become independent of the executive branch. As for the Kazakh parliament, whose members overwhelmingly represent the president’s Nur Otan party, Satpayev notes that it currently plays the role of a public notary, simply validating the Nazarbayev administration’s decisions, much like the role of the Russian Duma, which has long been seen as a tool of the Kremlin. So what’s the point of the reform? Is it merely a preparation for installing a successor? Nazarbayev turns seventy-seven in July, and, naturally, the issue of who is going to succeed him—long discussed both in Kazakhstan and beyond—is now becoming the center of the political agenda, especially since the death in September 2016 of Nazarbayev’s longtime rival for the title of most influential Central Asian leader, Uzbek President Islam Karimov. 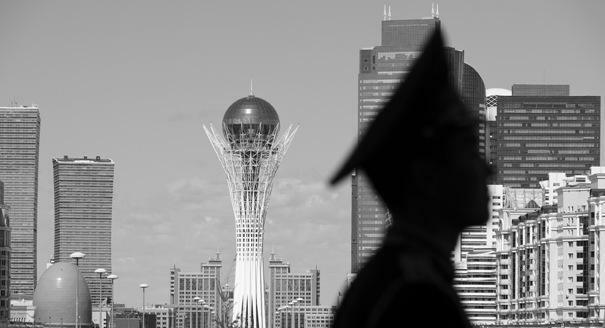 In contrast to Uzbekistan, where the power transition has been relatively smooth, Kazakhstan’s power struggle looks set to be more open and tough, as Nazarbayev has many more rich and influential contenders for the throne among his close associates than Karimov did. In recent years, and especially since the spring of 2014, the Kazakh president has been trying to play his potential successors off against each other to prevent any of them from gaining a clear lead. But just a few days after Karimov’s death, Nazarbayev undertook a major cabinet reshuffle, installing Prime Minister Karim Masimov as the head of the National Security Committee. Masimov promptly unleashed a war on corruption that swiftly brought an unprecedented wave of arrests of both acting and former high-ranking officials. 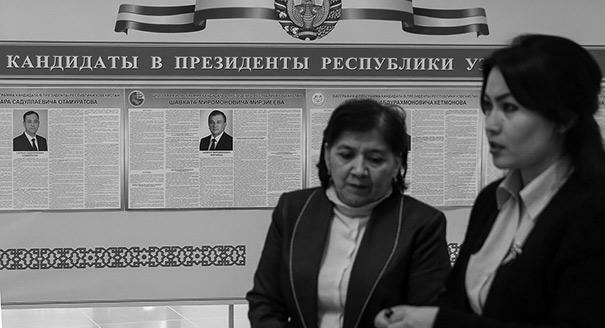 The president’s oldest daughter Dariga Nazarbayeva, who as deputy prime minister had been dealing with social policy, was made head of the Senate Committee on International Affairs, Defense, and Security. Although she stated that she had no presidential aspirations, many analysts see her Senate appointment as an attempt to preserve such ambitions. After all, dealing with social policy is the most thankless of tasks in times of crisis. On the other hand, Nazarbayev himself said at that time that there would be no hereditary power transfer in Kazakhstan. Nevertheless, nothing in the president’s special address suggested any mechanism for such a power transfer. It was almost as if Nazarbayev was going to tell his compatriots something important—but then couldn’t ultimately bring himself to do it, and instead was forced to leave them in the dark yet again. 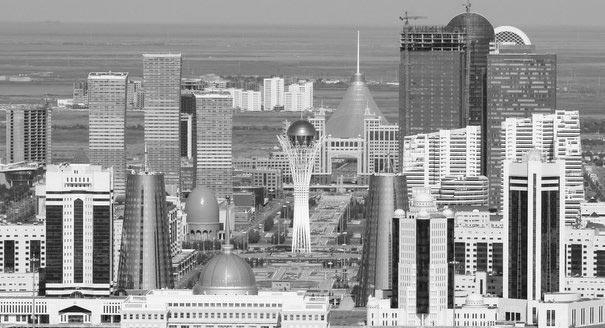 Kazakhstan: Are Land Protests the Start of a Larger Wave of Discontent?